Born and raised in Virginia, Drew studied history at Hampden‐Sydney College before beginning a career in the high‐end automotive industry. Working with the prestigious BMW Group brands, he guided clients through the selection process of their next fine new vehicle. Being a car fanatic himself, Drew loved this fast‐paced business and thrived on translating his enthusiasm to customers in a consultative way, helping them make sound, satisfying purchase decisions. He easily transferred this winning philosophy to real estate, where he enjoys helping people with an even more substantial and meaningful process – choosing their special home. Drew has aligned himself with the top‐producing Edward and Stewart Team, bringing with him decades of experience and support to his clients. Whether you are buying, selling, renting or investing in real estate, he understands the critical nature of your business, and seeks to navigate you through the market armed with vital information and confidence. 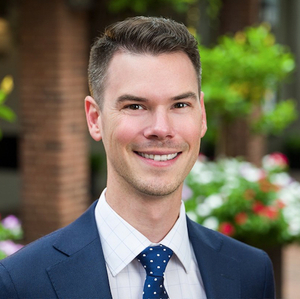 A longtime resident of Washington, DC, Drew is excited to work with new and longtime residents of the DC Metro area and to continue to enrich this vibrant community. As a fan of and contributor to the arts, he is often seen around town belting out show tunes, or trying to convince friends to accompany him to the latest musical productions in his free time. Drew also enjoys camaraderie with his extended and active family, frequently competing with his brothers and cousins on the ski slopes in winter and on water skis in summer.